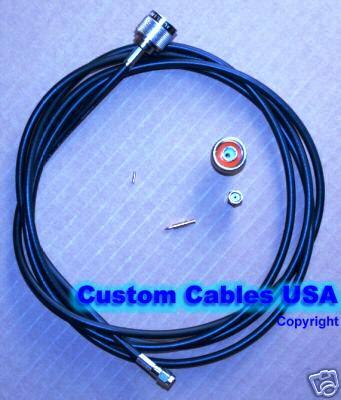 We make custom RF/Radio/Microwave/WLAN WiFi coax cables. FAST shipping, Easy to work with, at Discount LOWEST market Prices! 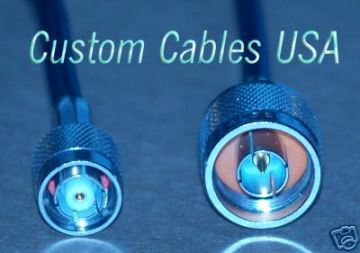 THIRD : Select the connectors you need. Coax Connectors/Adapters: See Pictures or	Find WLAN RF connector types for WiFi devices..
low-loss LMR-195, LMR240 or Ultra Low loss LMR-400 to help limit the amount of WiFi signal loss (i.e. to obtain more signal strength), if that would be important for your application. Home | Policy | Contact Us | Copyright © 2008 Custom Cables USA LLC customcablesUSA.com All rights reserved.